One of the many advantages of living in Cornwall is that you are never far from the sea. One of the advantages of being a wedding photographer in Cornwall is that this means there are so many wedding venues close to the sea. 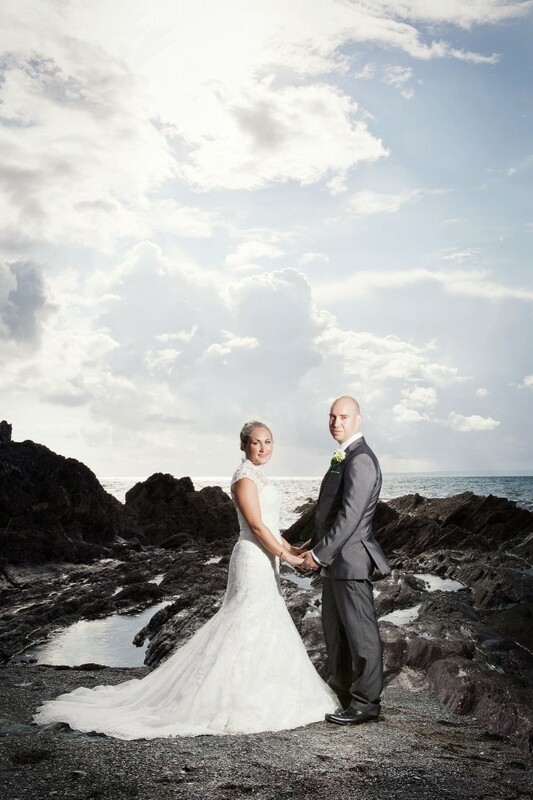 This gives Cornwall an advantage that land-locked locations don’t have – the opportunity for a beach wedding photoshoot. As you travel from Bude through to Padstow, on to Newquay and down to St Ives, there are some great locations to capture unique images with the backdrop of the Atlantic Ocean. Also, the south coast of Cornwall does not disappoint, with beautiful beaches from Marazion, all around the Lizard and on to Falmouth, St Mawes and the coast, all the way to Plymouth. Here are my wedding photographer tips to get the most out of your beach photoshoot. 1. Identify the photography location beforehand. I like to discuss and agree the beach location with the bride and groom before the wedding day. This saves time on the day and, if necessary, allows me, the wedding photographer, to check the location before the shoot to ensure that we get the most out of the bride and groom’s time on the beach. Weddings are always busy days and there is often limited contingency time within the day. If you are passionate about your beach wedding photoshoot, make sure you have enough time to get to the beach, park and then enjoy the photoshoot. Your wedding photographer should be able to tell you how much time you need. 3. Be prepared to walk. Beaches can be busy throughout the year and if your wedding is in August, you may need to walk to get to a quiet section of beach for the photoshoot. One for the brides: have a pair of flip flops ready in case you need appropriate footwear to get across the sand. You can always change into your wedding shoes once you get to the shoot location. Alternatively, you could opt for bare feet to give your wedding photography that extra beach-bride look. Hopefully these wedding photographer tips will allow you to get the most out of your beach wedding photoshoot.